Live streaming is the trending stream in the present era. In that involvement of 360-degree video is the most seeking platform which has more expectations in the present period. These 360-degree video cameras are usually needed to film by using the several cameras or specific camera that is being equipped with different lens format. All the directional angles of the area are recorded simultaneously. Here all the pieces of the captured moments are being clubbed by using video stitching method. Then the editing of color, image, audio adjustment and the adjustments to flexible with different devices has been done with the help of some video editing software. This is completely modulated to give the 4K resolution of having a great experience. We can find a number of video editing software that is showing their best performance in giving the best results. One of them is Power director15. By using this we can insert the video into any device in an effective way. Click on new configuration then name it by activating the right mark. Then go to edit input then the HDMI videos will appear. After that, the display mode with 1920×1080 fps and pixel format of RGB is appeared then change the pixel format to YUY2 then save it. Now the screen will be displayed which is capturing in the cameras you use. Hit on calibrate then click on create followed by right mark then it starts calibrating. Open the PTGUI then choose load images after that select the images that you are capturing. Here you need to create the template. Again back to Vahana VR then select the calibration then pick the template and then apply. Now we can view the area in 360 degrees. Use Wowza to set live stream. Go to add live stream then enter the name by choosing the location where you want. After that choose the video source as other RTMP and select push or pull stream. You can activate the security alert then go to next. Here you can mention title, description and social links to share then click on finish. Primary server URL and stream name will be displayed then go back to configuration then hit on outputs. In the configuration RTMP stream, the stream URL will be appeared then paste the primary server URL. Then go to Wowza then start streaming. 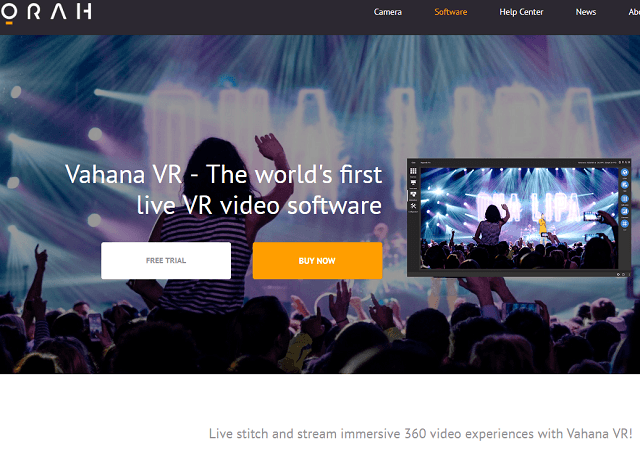 The nano stream 3D live video encoding software is one of the best streaming providers to enhance the live experience. This3D live video encoding software can encode the video to be compatible with MPEG, H.264, WMV and also the flash streaming can be accessed. Also, HD video streaming over UDP is available. The components like live video active- x control, encoder application, NP plugin, windows media encoding and streaming, RTMP, H.264 codec, 3D video mixer, MP4 file writer and other extensions have been working to encode the video streaming. The length of the video would be approximately 3:08 seconds. The online transforming speed of data is 0.73 MB per second. The bandwidth of the video will be 5.8 Mbps. The frame rate is 24 frames per second. Some of the software encoders like Wowza and Streambox are used to encode the 360-degree videos. Most of the cameras are not arriving with the facility of inbuilt video stitching. 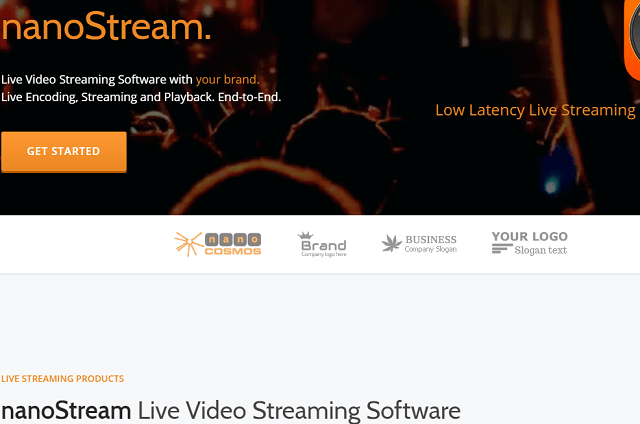 By using the streambox cloud the live video streaming can be activated for different locations through remote services. Mobile encoders of streambox can live stream the 360-degree videos from moving devices and switch to the streambox cloud to live stream. Whereas Wowza provides the 4K streaming service including UHD, The delivery latency will be less than 15 seconds. The security alert has been specified in Wowza. To have the virtual reality experience in real time there are plenty of VR headsets which are being as the primary devices to watch a live stream. These are used especially while playing the online games. Through this, the players can get much fun through their activity. The latency of the VR headsets should be 7 to 15 milliseconds. Refresh rate is the most required one in the category of latency i.e. 90 Hz to 120 Hz.To deliver the frames frequently it should have GPU at very high speed. Some of the headsets that are showing best results while using are HTC vive, Sony PlayStation VR, Oculus Rift, Samsung Gear VR, Google day dream view, Google cardboard etc. This is open source app that everyone can access and it allows to play the videos on YouTube through search. The life time of battery can be boosted through the option of sleep mode. 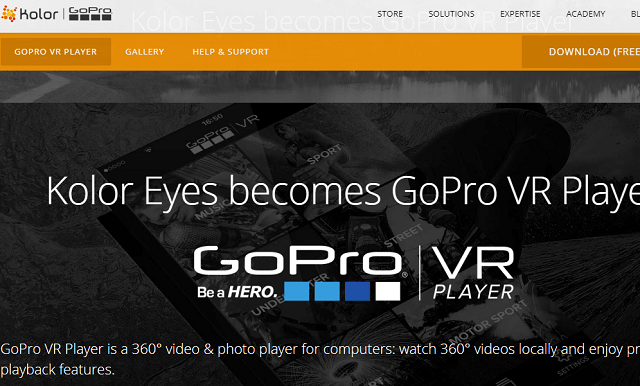 It supports all operating systems like android, windows, mac and iOS including HTML5 to play the 360-degree video. Through this 8K resolution, videos can be watched. The URLs and files in the local format can be activated using this player. It provides the most flexible lighting effects that are matching with the surroundings. By using the preset files the automatic configurations can be done. It generates 360-degree videos at a 4K resolution that has been supported by all major platforms with the format of MP4, AVI, MOV and FLV etc. 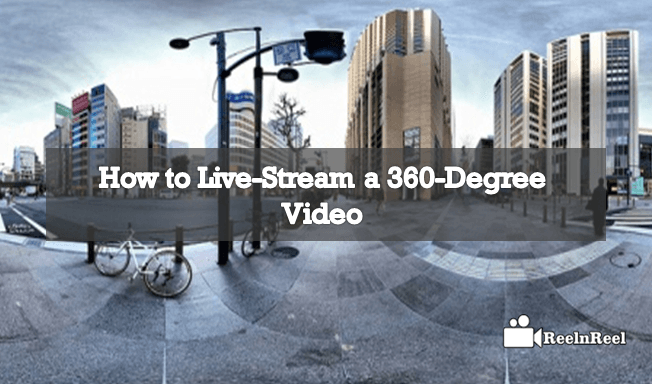 This is the most useful content to find the finest way to build the strong experience on live streaming of 360-degree videos with the best resolution.